The Chefs experienced a whole new level of music making: with vegetables! 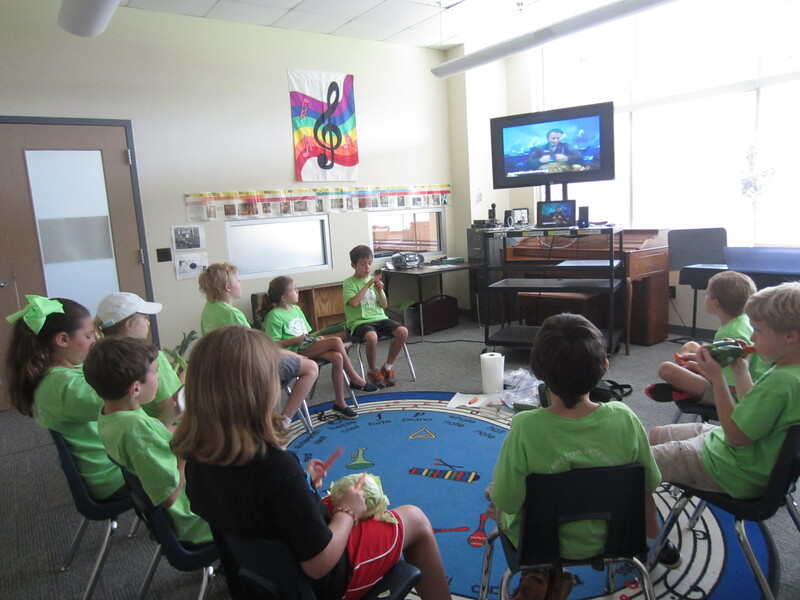 We watched a video about The Vegetable Orchestra where the musicians create all their instruments based on vegetables: carrots, leeks, celery, pumpkin, beans, bell peppers, and more. 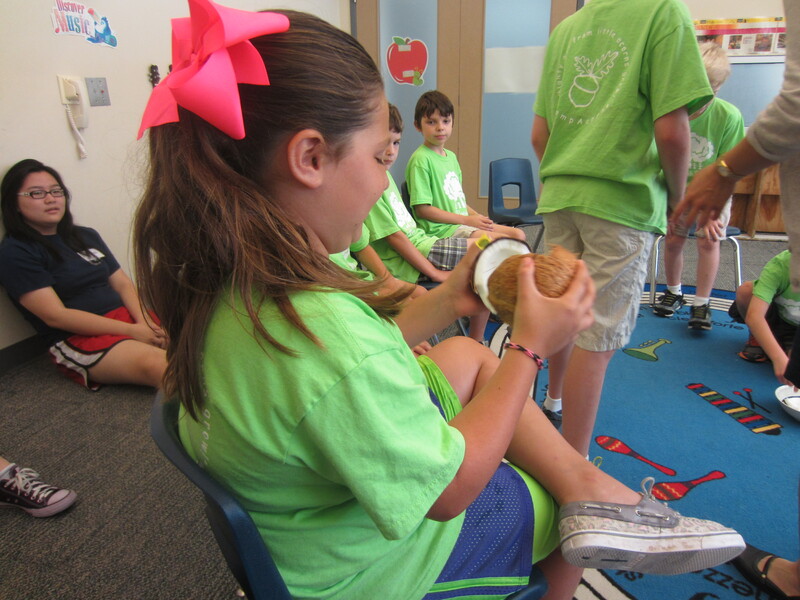 They cut, hollow, and drill holes to make the vegetable a playable instrument. Watch the video below to see the process. They students requested to watch it every week! Taking that idea, I went vegetable shopping and bought carrots, lettuce, leeks, coconut, and bell peppers. At first, the students were unsure about playing with food because mom and dad have told them not to do so. 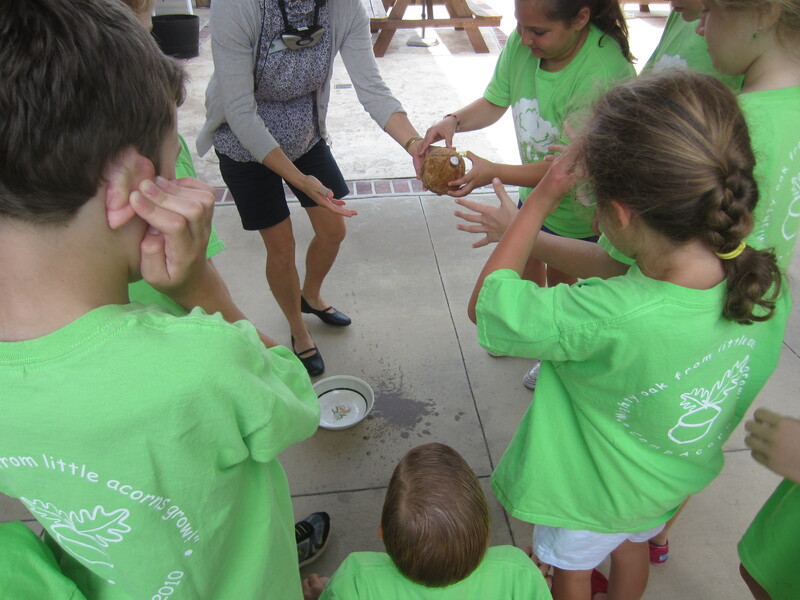 I showed them how to rub the lettuce and leeks, blow into the bell pepper and carrots, and click the coconut. They were skeptical about the sound and strange noises until they tried it. Curious, they were intrigued. 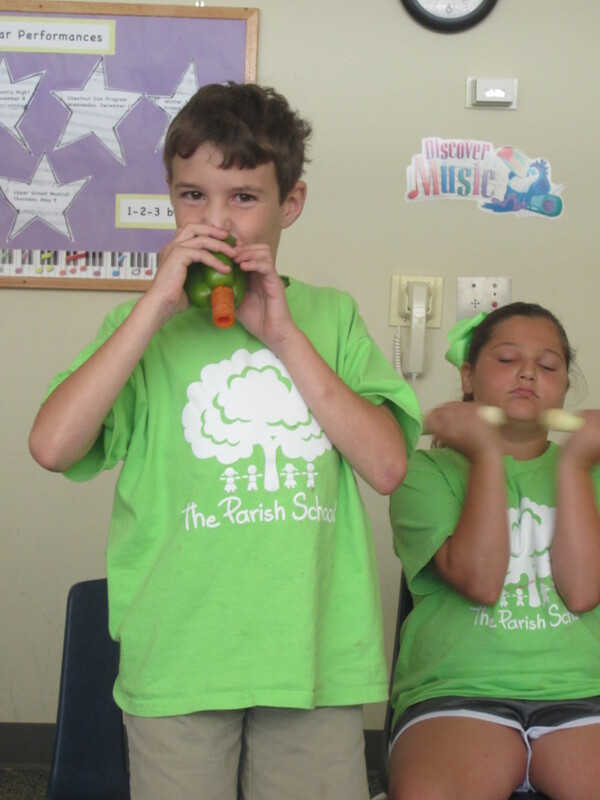 The next week, we spent time cutting carrots and using a hand drill to drill holes into the carrot to make it into a carrot flute/kazoo. Students were very hands on in their experience and were proud of what we were making. They also helped me opened a coconut. After tapping it on the floor several times with no luck, I decided to let students try to tap it light. G. Chefs went ahead and smashed it on the floor! Of course it opened up and we had three pieces to play with. 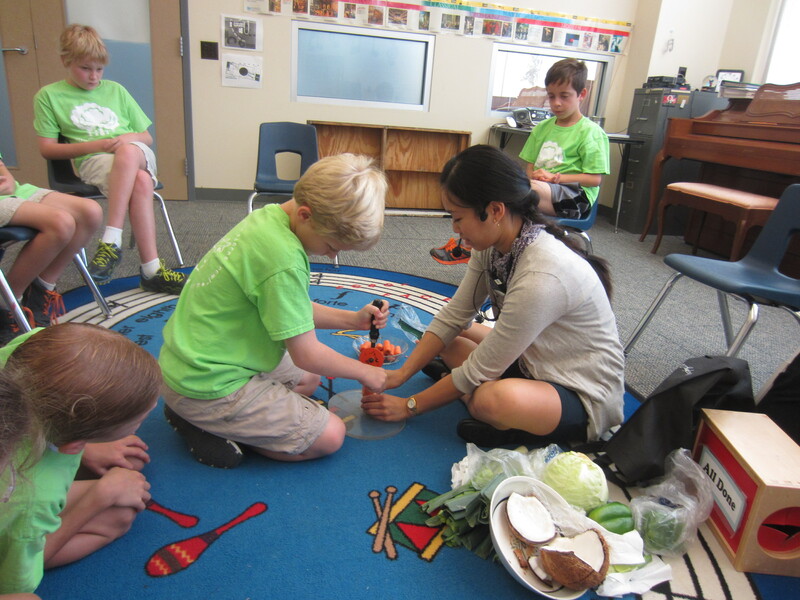 Over three weeks, the Chefs were excited about the vegetables instruments, making them, and playing them. 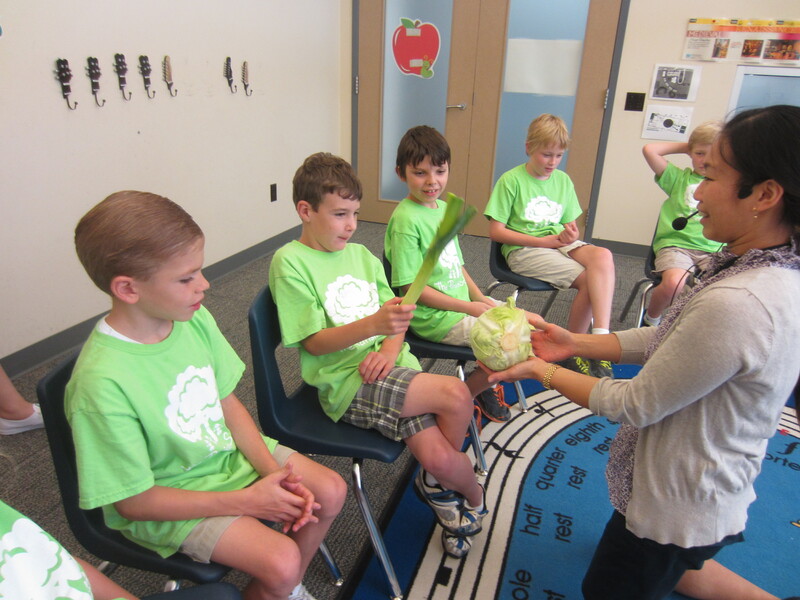 Today, each student chose a vegetable and we played as a group alongside The Vegetable Orchestra video. 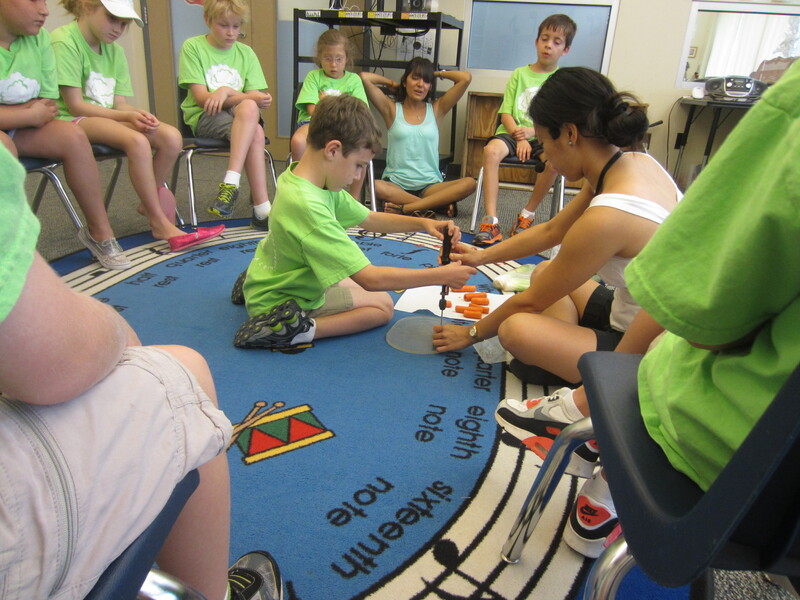 Students imitated some of the sounds and ways to play the instrument. We also placed a carrot inside a bell pepper similar to what we saw in the video. They tapped their carrot flutes and tapped the leeks together. 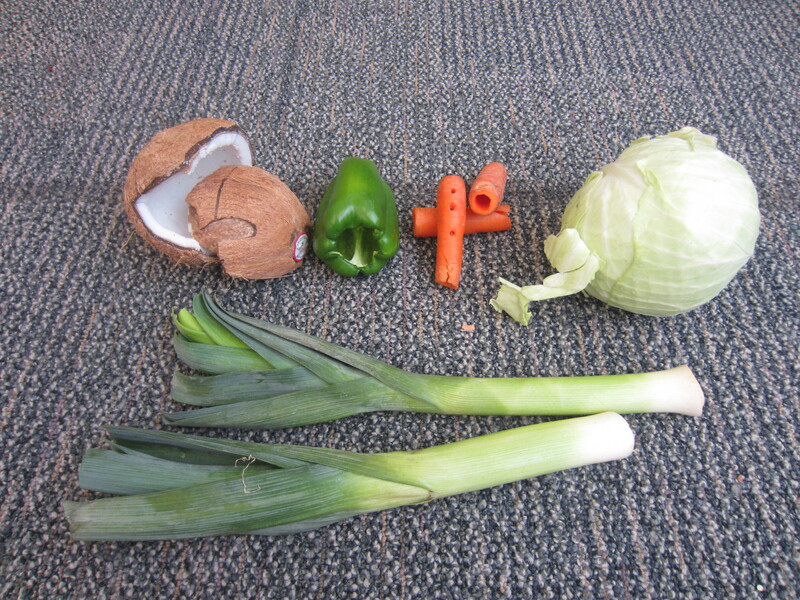 It was fun to hear sounds we were making with vegetables! 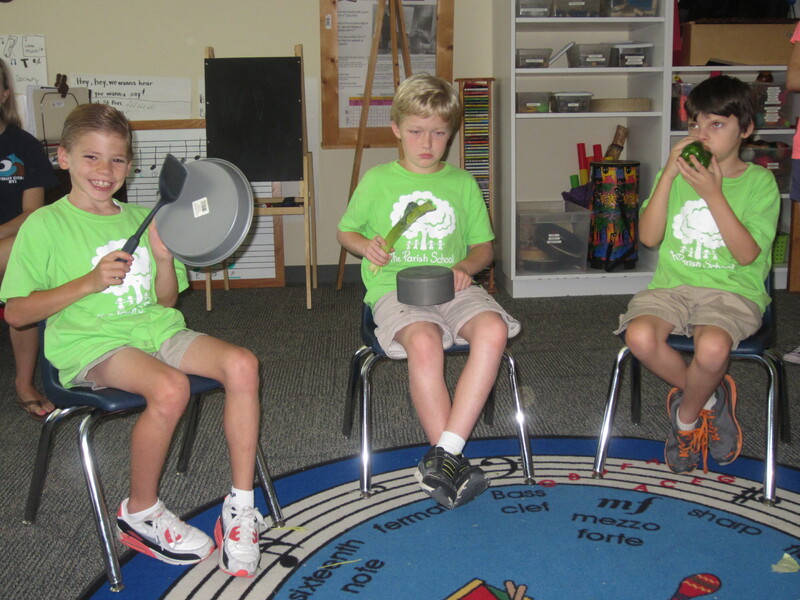 After playing the vegetables, I gave students the option to trade in their vegetable for our kitchen band instruments. 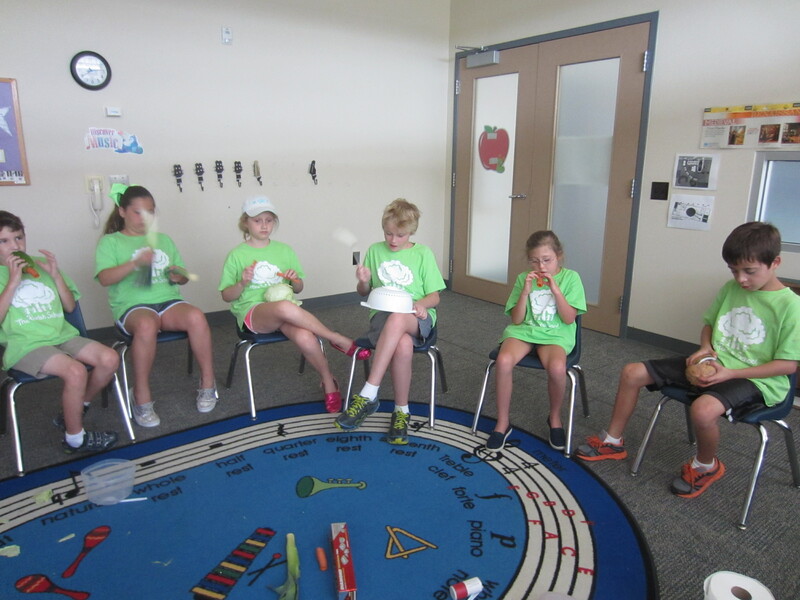 It was certainly a new musical sound combination of vegetables and kitchen items! We had to work together to listen to everyone’s part and take turns being in featured. They really enjoyed it and thought it awesome! 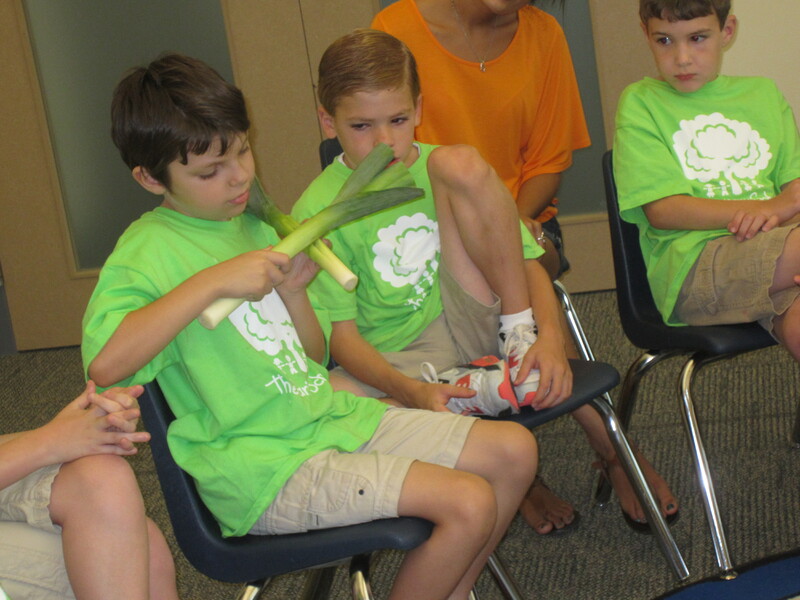 The Chefs were great at taking a vegetable and seeing it as an instrument, listening to what kind of sounds it could make, and exploring what they could do. Through this, they were creative thinkers with out of the box ideas and were willing to try something new. With limited supplies, I was pleased to see that they were good at taking turns, sharing the vegetable instruments, and being cautious of germs. We cleaned them after every use! As a special gift, I allowed students to choose one vegetable instrument to take home and they were thrilled to choose one. 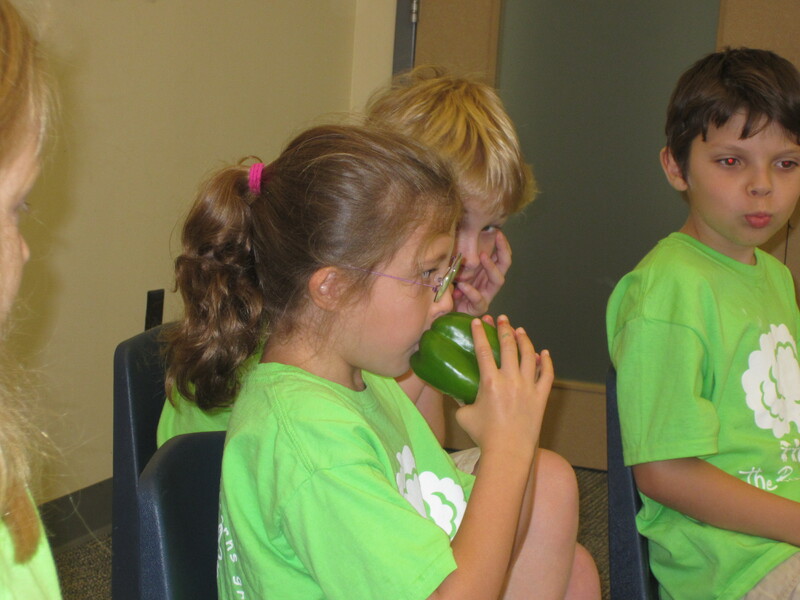 Watch out, parents, a vegetable instrument player is coming your way! 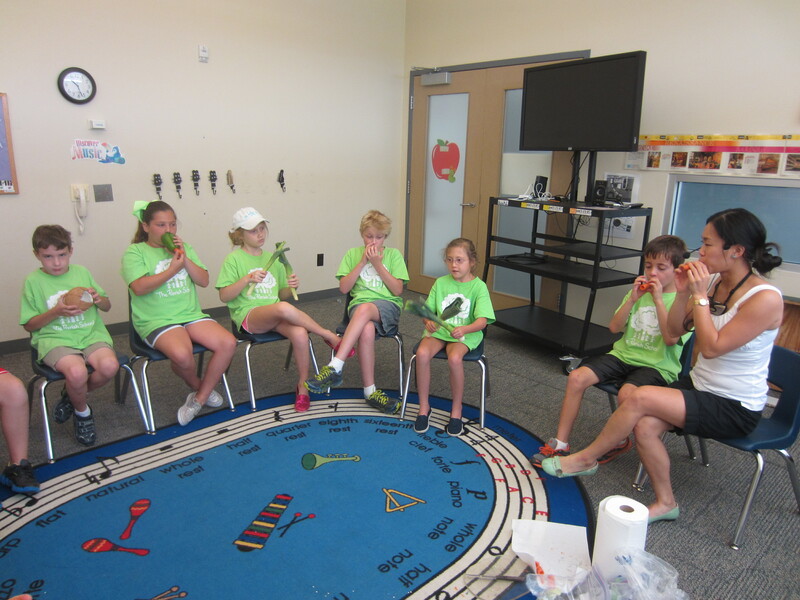 This entry was posted in Camp Acorn 2013, Chefs 2013, Instrument Play and tagged kids' music, playable instrument, Vegetable Instruments, Vegetable Orchestra. Bookmark the permalink.